Objection: Despite what the computer models tell us, there is actually no evidence of significant global warming. Answer: Global warming is not an output of computer models; it is a conclusion based on observations of a great many global indicators. By far the most straightforward evidence is the actual surface temperature record. While there are places — in England, for example — that have records going back several centuries, the two major global temperature analyses can only go back around 150 years due to their requirements for both quantity and distribution of temperature recording stations. Both trends are definitely and significantly up… There is simply no room for doubt: the Earth is undergoing a rapid and large warming trend. Personally, I see plenty of room for doubt about whether this shows a “rapid and large warming trend”. What about the CRU? Again, their data is available as the data are available as Comma-Separated Values, and so, to prevent cheating I graph this for the same period. And what do we see? Again, no warming. So the picture is that we are now stable, and have been for the best part of 2 decades, at around 1/2 degree Centigrade warmer than the average for the last 100 years or so. Just let’s get that in context. In the UK, for example, average temperatures increase by about 1 degree for every 100 miles the further south one goes. So, for example, the good people of Nottingham are now as sweltering hot as the people of Northampton were 100 years ago. And there is no need for the people of Northampton to flee North to Nottingham to escape the present increase in temperatures, because there isn’t one. And anyway, who on earth moves in order to go somewhere colder? If you really want some climate change (as many of us have) the thing to do is to move to somewhere warmer. So, Coby is just plain wrong about the present day warming. He would have been right, of course, to suggest that there was some warming in the later third of the 20th century. But he needs to go further than that, because some warming when CO2 levels started to go up, followed by no warming when the CO2 level go up even more, would not suit the alarmist cause at all. Objection: The surface temperature record is full of assumptions, corrections, differing equipment and station settings, changing technology, varying altitudes, and more. It is not possible to claim we know what the “global average temperature” is, much less determine any trend. The IPCC graphs only say what the scientists want them to say. Answer: There is actually some truth to the part about the difficulties; scientists have overcome many of them in turning the hundreds of thousands of measurements taken in many different ways and over a span of more than a dozen decades into a single globally averaged trend. … All of these completely independent analyses of widely varied aspects of the climate system lead to the same conclusion: the Earth is undergoing a rapid and substantial warming trend. Looks like the folks at NASA and CRU know what they are doing after all. The link for satellite measurements of temperature is to Wikipedia, which in turn refers to RSS data, which is here. Fig. 1. 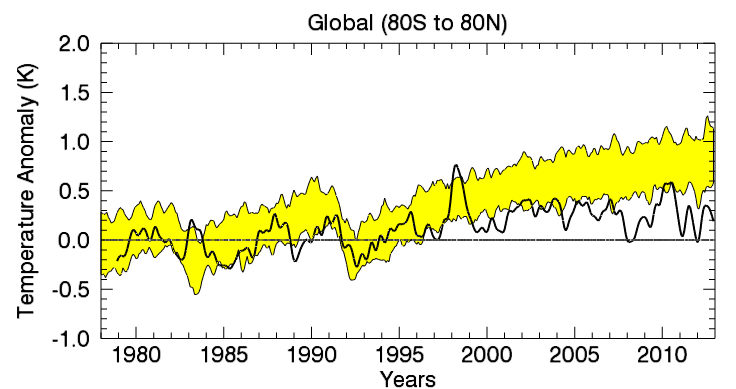 Global (80S to 80N) Mean TLT Anomaly plotted as a function of time. The thick black line is the observed time series from RSS V3.3 MSU/AMSU Temperatures. The yellow band is the 5% to 95% range of output from CMIP-5 climate simulations. In other words, apart from 1998 (which was a hot year) atmospheric temperatures have hardly moved at all over the past 40 years. So what do we get from this? First, that Coby’s bold assertion that “the Earth is undergoing a rapid and substantial warming trend” is again just plain wrong. And second, that another of his assertions – that the models used to predict runaway global warming (they are shown in yellow on the RSS graph) are just fine – is also just plain wrong. Now, it is fair to say that Coby wrote all this stuff back in 2006, and a fair bit of the evidence that the sceptics were right and the alarmist were wrong has come in since then. 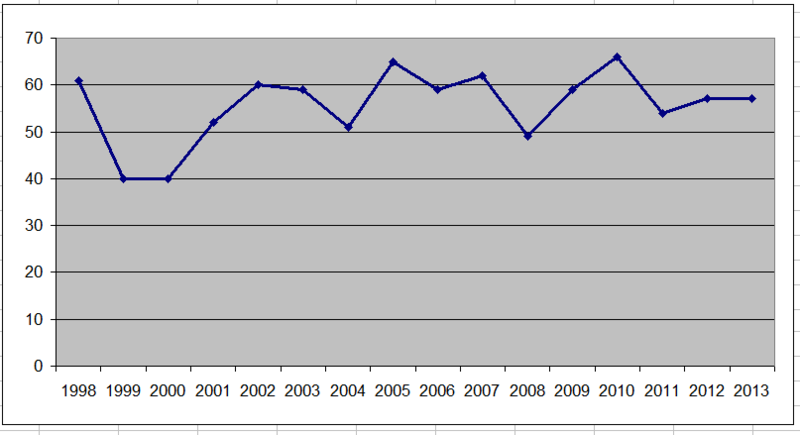 But as these graphs show, even by 2006 the writing was well and truly on the wall. It is also fair to say that I have picked on just a couple of examples here. I could have dealt with what he says about Antarctic sea ice, which is also just wrong when you check the data. I could go through them all, but that would be dull. We all have a choice really – to look at the actual data ourselves, or to trust someone else to do and to report back fairly. And that is the trouble: the people who make a living from the climate change business, or who have a neo-religious belief in it, are simply not to be trusted to report back fairly. But I do like Coby Beck’s writing style. 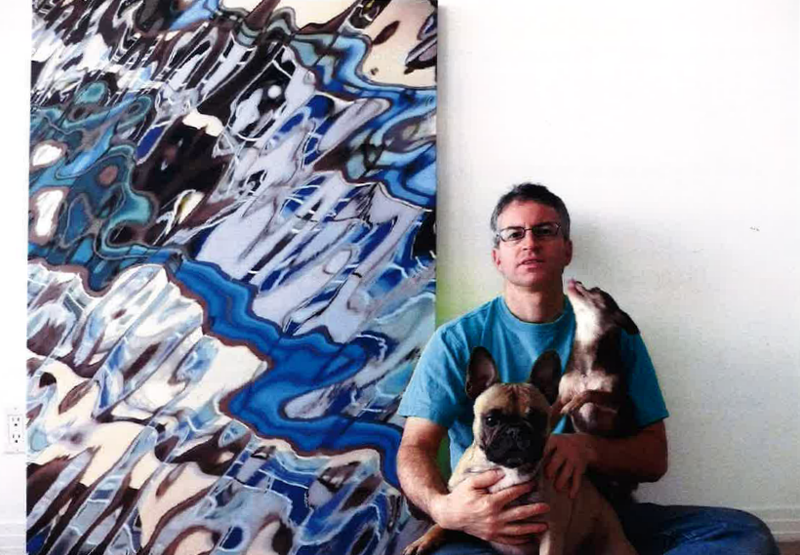 And his photographs are really interesting. Since posting the above, I have had a response from my friend Nick, who quite rightly notes that different starting points can lead to different conclusions. My son Charlie, for example, has been 6’ 3” or so for several years now, and I am sceptical about the possibility that he will grow any taller (he might, I suppose, but I doubt it). 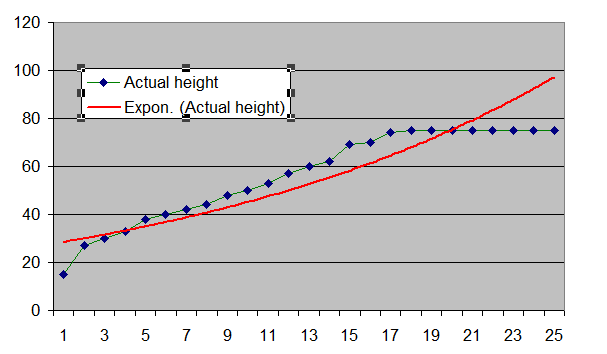 So here is the graph of Charlie’s height in inches. 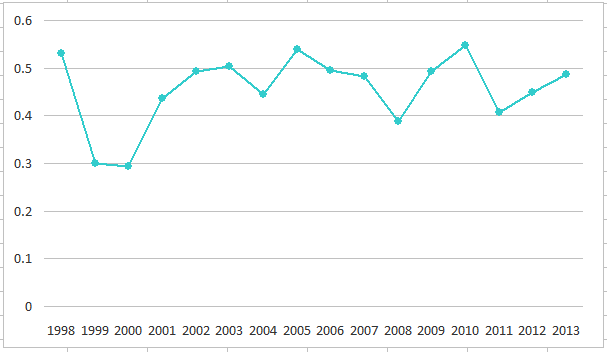 Set the starting point way back, and add an Excel exponential trendline: it will suggest continuing growth. If he buys himself some cowboy boots with heels next year, that will boost his height to a new record, and the alarmists, on the “precautionary principle”, would have us knock down the house on the basis that our ceilings will be too low for him. PS All the above data has been “adjusted”, as the CRU do with their data.